What is Juwon ransomware? And how does it execute its attack? Juwon ransomware is a data-encrypting malware discovered in the second week of January 2019 captured in its early variants. Based on its initial code analysis, this crypto-virus is developed by a hacker or a group known as Seojuwon. Since the captured samples of this ransomware are early versions, they do not contain any code or components other than the ransomware engine. Sorry. It can not be accessed. To recover, you must enter your password or purchase a decryptor. The moment you close this program, your computer will be a fool. Seojuwon is a computer genius. Failure to enter the password within 24 hours will destroy the computer. Typing juwon will display a password hint. And when you give up, your computer is instantly destroyed. How is the malicious payload of Juwon ransomware distributed online? The malicious payload of Juwon ransomware is distributed using various methods but it is mostly distributed using malicious spam email campaigns where cyber criminals attach an infected file to emails and send them to potential or targeted users using spam botnets. The infected file may be a PDF file, ZIP file, executable file or a document with macro scripts used to install Juwon ransomware in the system. 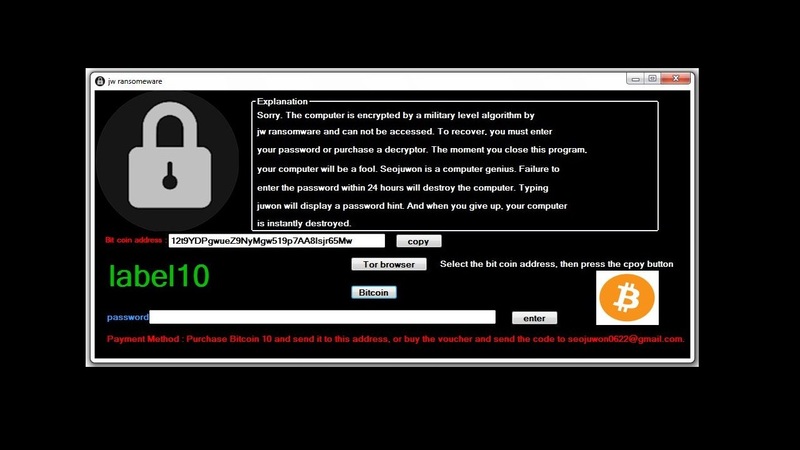 Obliterate Juwon ransomware with the help of the removal instructions provided below. Step 1: Close the program window of Juwon ransomware. If you find it hard to do so, you can close it via Task Manager. Just tap Ctrl + Shift + Esc keys to launch the Task Manager. Step 2: Next, go to the Processes tab and look for the malicious process of Juwon ransomware named “juwonRansomware.exe” and then right click on it and select End Process or End Task. Step 4: Look for dubious programs that might by related to Juwon ransomware and then Uninstall it/them. Step 6: After opening File Explorer, navigate to the following directories below and look for Juwon ransomware’s malicious components such as juwonRansomware.exe, [random].exe and other suspicious-looking files and then erase them all. 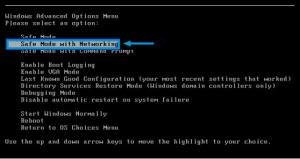 Step 9: Navigate to the listed paths below and look for the registry keys and sub-keys created by Juwon ransomware. Step 10: Delete the registry keys and sub-keys created by Juwon ransomware. Restoring your encrypted files using Windows’ Previous Versions feature will only be effective if Juwon ransomware hasn’t deleted the shadow copies of your files. But still, this is one of the best and free methods there is, so it’s definitely worth a shot. 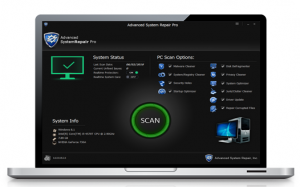 Once you’re done executing the steps given above, you need to continue the removal process of Juwon ransomware using a reliable program like Advanced System Repair. How? Follow the advanced removal steps below.